Reading stories and experiencing storytelling is formative to a child’s development and a critical tool for sense-making. As the Internet of Things develops, we see new opportunities to expand the aesthetics of storytelling. 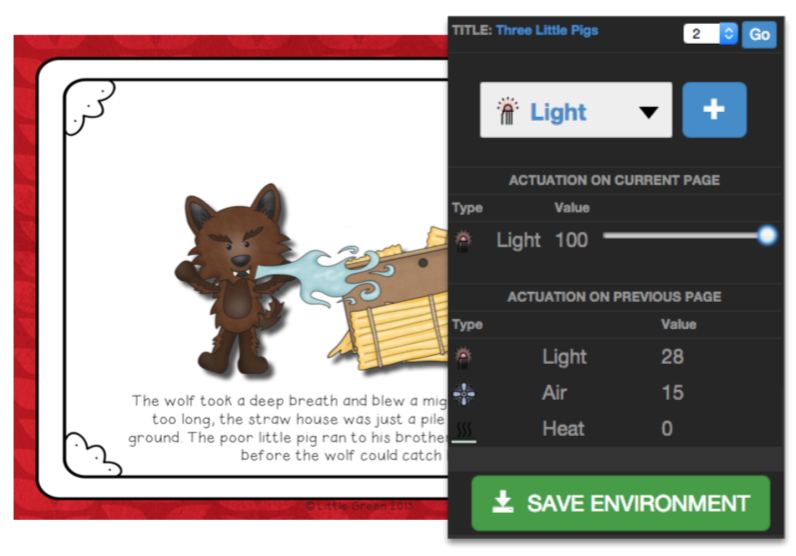 We introduce Smart- Storybook, an augmented environment (AE) application that controls the rich multimodal environment enabled by IoET to create interactive, engaging reading material. Smart Story- book contributes a content creation tool that synthesizes out- put with storylines. Upon reading time, the tool polls devices in a room for story enhancing capabilities (e.g. providing light, sound, smell). The desired story telling environment is resolved dynamically, providing a unique storytelling ex- perience based on available devices and services. Recursive neural networks (RNNs) have been successful for structured prediction in domains such as language and image processing. These techniques imposed structure onto sentences or images for more effective learning. However, in domains such as Web design, structure is explicitly embedded in the Document Object Model, so structured prediction can be done using the natural hierarchy of Web pages. Exploring a design space must generally be done by manual inspection of many design examples. Visualizing designdata in an aggregate way can make this process more efﬁcient, but as design data lies in a high-dimensional feature space, selecting the important elements to view is challenging. 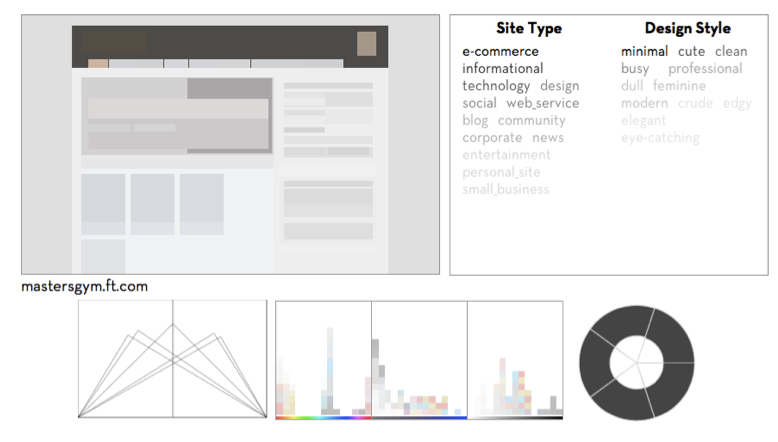 This work presents Charlotte, a system that enables exploration of Web designs represented in 1,713 dimensions by applying the concept of data portraits and generating visualizations that capture groups of pages with respect to a selected set of design principles. 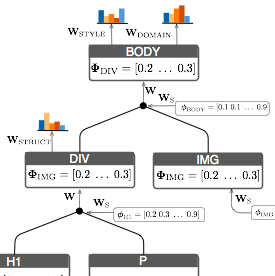 Charlotte demonstrates that meaningful patterns and trends among the design data can explored by using these principles to inform data-driven portraits.